As I’ve applied the Bible the past forty years, I am more convinced than ever that our understanding of God’s written Word—His holy, inspired, and authoritative revelation of his Plan—enables us to cooperate with him in rescuing our broken world. When you understand the Bible’s overarching themes, God’s Story becomes the framework through which we interpret Scripture’s details and answer life’s most important and, often difficult, questions. The result? We avoid misinterpreting God’s Word as we walk in the biblical authority God has intended for us. Alan Gilman has known Yeshua (Jesus) as his Messiah since 1976. He and his wife, Robin, also a Jewish believer, have been married for over 38 years and have 10 children and three grandchildren. Through the years Alan has been active in Bible teaching, devotional writing, and worship leading. Alan delights in showing how God’s plan of salvation begins with Abraham and his descendants, is fulfilled in the Messiah Jesus, and is expressed through Jesus’ followers today. The only way to fully experience God’s blessings is to understand the essential Jewishness of the Gospel. Alan’s Jewish Christian understanding of the biblical narrative brings out a rich depth of meaning to the Bible’s saving message. He challenges popular theology with biblical teaching that confronts the status quo. He is an effective communicator of God’s truth. I have known [Alan] for about twenty years and have great respect for him. He communicates effectively with a unique freshness and passion both for the Lord and for His Word. His teaching comes from thorough and thoughtful study and is communicated with integrity. I have appreciated the lasting impression his preaching has made upon my life and the life of our congregation. Alan is wise when it comes to biblical understanding and is an excellent teacher of the Word of God. When I want to know what the full meaning of an Old Testament scripture means in light of living in the New Testament era, I have never hesitated to seek out his insights. I wouldn’t hesitate to recommend to you Alan Gilman and his ministry. Alan has a wonderfully, deep, Jewish-Christian understanding of the Scriptures which is refreshing. In every conversation and in the times that he has shared publicly, I always learn something, or hear something shared from a different perspective and it causes me to rejoice and to grow. I think that God wants to use him and his ministry to help deepen our understanding of the Word of God and the heritage of faith that we have inherited. 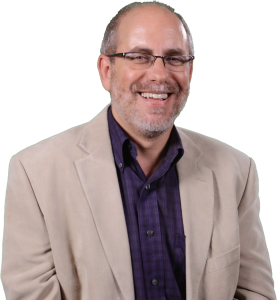 Alan’s ministry seeks to bring a fresh Jewish perspective on the Christian faith and life. As a Jewish believer he has found how amazing God’s grace is through Jesus Christ but he also has an understanding of the Old Testament and Jewish life which allows him to bring insight and life to those of us from a non-Jewish background for whom he opens the Scriptures. I have known Alan since 1982. He is a remarkable Bible teacher, who has continued to grow and learn over the years. You will not regret inviting him to minister in your church or context. For well over a decade I have been recommending the insights that Alan gains with his biblical and historical understanding of the Scriptures. I have enjoyed hearing him teach in congregational settings and admired his ability to correctly divide the word of truth. Always practical, Alan will challenge you to follow the Lord more closely whenever you read or hear him. I am very glad he is becoming more well-known as a Bible teacher. 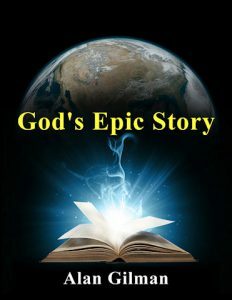 Alan’s “God’s Epic Story” seminar should be part of the discipleship curriculum in every church!